White Wine by Antinori from Tuscany, Italy. Straw yellow in color with greenish highlights, the wine is elegant and delicate in its aromas, which recall fresh fruit, like lemon, oranges, and grapefruit. The flavors are balanced, with. White Wine by Balo from North Coast, California. The harvest for Balo's Pinot Noir Blanc often takes place a week before the primary harvest for red wine. The resulting natural acidity provides a crisp framework for the tropical and stone. White Wine by Barden from Central Coast, California. A blend of Chardonnay, Pinot Blanc and Pinot Gris picked for a balance of flavor and acidity. Pale golden yellow with aromas of brioche, toasted vanilla bean and short bread. The palate is inviting. Ros Wine by Belle Glos from Sonoma County, California. Oeil de Perdrix - French for eye of the partridge - is a traditional term for this wine's seductive, jewel-like color. To capture this shade along with the wine's crisp acidity and bold berry. White Wine by Bethel Heights from Willamette Valley, Oregon. This wine is at once bright and vivacious, but also elusive and subtle. This perfectly dry Pinot Blanc is loaded with flavors of grapefruit and pear, with a deep core of minerality and a detailed. Red Wine by Bevan Cellars from Napa Valley, California. This fabulous and exciting elixir is a equal-part blend of Cabernet Franc and Merlot aged in equal parts Gamba and Darnajou, all new French oak. A stunning nose of forest floor, blueberry, blackberry. White Wine by Brooks from Willamette Valley, Oregon. In Greek mythology, Amycus was the son of Poseidon. A boxer, King of the Bebryces, and a one-time Trojan, he covered a lot of territory over the course of his short life. His bold and wandering. 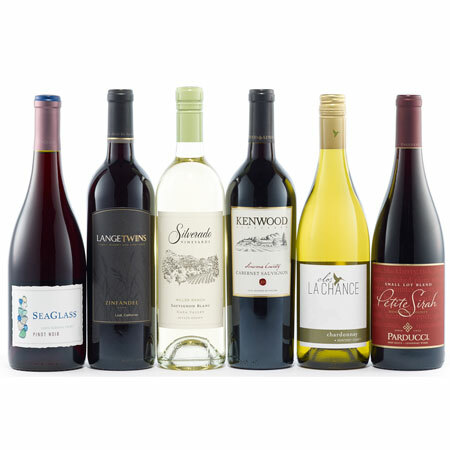 Wine Collection Gift by Wine.com. You may not be in California this holiday, but you can certainly dream about it! 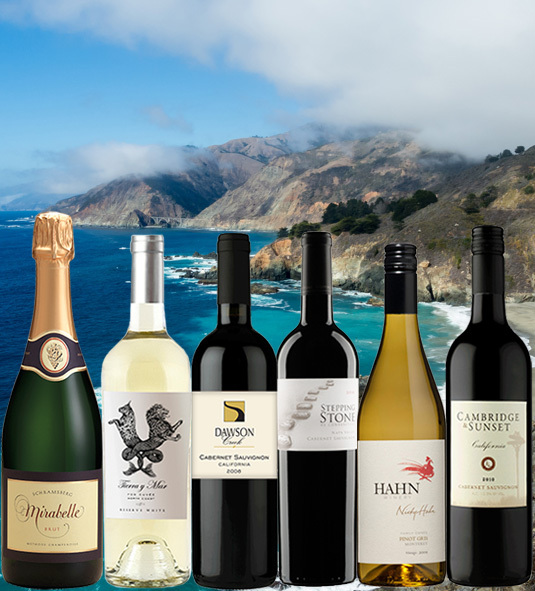 California Dreaming Big delivers six top varieties from the renowned wine regions of California. You'll taste. Non-Vintage by Champagne Dosnon & Lepage from Champagne, France - regions. Recolte Noire is a Blanc de Noirs made entirely from Pinot Noir with a minimum of two years aging in the bottle and with a dosage around 7g/L. While most growers would put a Blanc de Noirs at.